Are you a Bradenton & Sarasota guru? Be heard and share your experiences by becoming an 941area.com Contributor. Learn More! Are you a local in the Bradenton & Sarasota area? Join your community and Get Connected with others in your area. Join FREE! 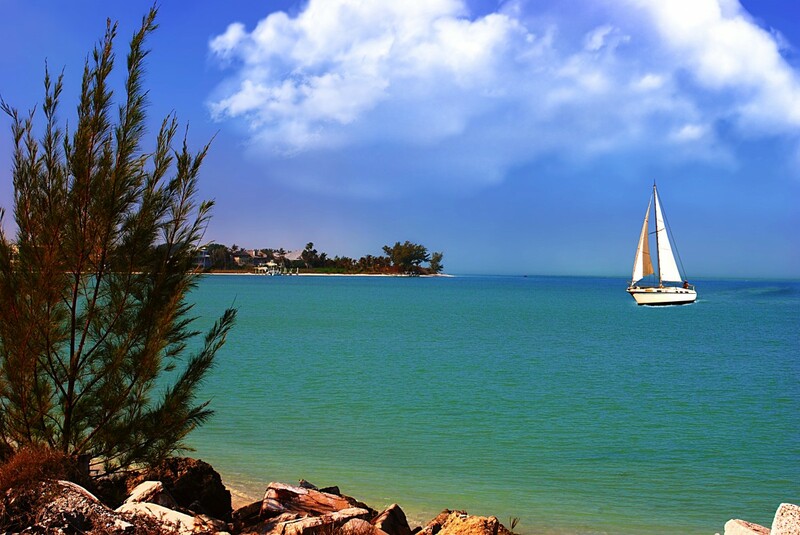 Sarasota’s coastal landscape delivers a beautiful view of the ocean and serves as a romantic setting and a laid-back atmosphere everyone loves, especially when you’re dining out. These waterfront restaurants in Sarasota give you a glimpse of the city’s beautiful bay, as well as an amazing oceanic scenery you’ll never forget. Next time you can’t decide on a place to eat, check out some of these cool bayside restaurants in the city. Located on the The Boathouse On Longboat Key, Dry Dock Waterfront Grill is a casual restaurant that also happens to have one of the best views in town. It features a diverse menu and their evening lighting makes it the perfect place to grab a romantic dinner and catch a sunset with your significant other. When you visit, you can enjoy either their outdoor patio or their panoramic view of Sarasota Bay on the second floor. The restaurant is also dog-friendly and has available boat access nearby. With locations on City Island, Siesta Key, and Venice Island, The Old Salty Dog has established itself as a city staple when it comes to dining with a view. The menu features burgers, seafood, and ice-cold beer as well as healthy alternatives. This Sarasota hot spot is always a great experience as it serves good food with an incredible bayside view fit for a millionaire. As the name suggests, the restaurant welcomes any salty canine that wishes to accompany their owner on an adventure to The Old Salty Dog. Don’t let the restaurant’s chill atmosphere overlooking the Philippi Creek fool you because the food here is no joke. The Table Creekside is one of the best waterfront restaurants in Sarasota, offering sophisticated cuisine from their award-winning menu that includes vegetarian and gluten-free alternatives. Business hours are 4 p.m. to10 p.m. Sunday through Thursdays and 4 p.m. to 10:30 p.m. on Fridays and Saturdays. Marina Jack is one of the best marinas in the country, providing visitors with great dining options like their Blue Sunshine Patio Bar & Grill, a sightseeing lunch or dinner on one of their cruise ships, and the marina’s waterfront dining room on the second floor. The dining room includes an amazing wine list and delicious meals such as steaks, pasta, and seafood. It also features vegetarian and gluten-free alternatives. If you prefer a more casual atmosphere, sit back and relax at the Blue Sunshine Bar & Grill as the staff treats you to great food and beverages while you enjoy an afternoon at the marina. Marina Jack’s cruise ships also provide lunch and dinner options as you take part in a sightseeing tour through the intercoastal waters of the gulf. Philippi Creek Oyster Bar serves local seafood and probably the best oysters in the city as the locally-sourced food is brought in daily to guarantee its freshness and quality. The restaurant also has a tropical setting with a fun atmosphere and a beautiful view of Philippi Creek that’s accessible either by land or water. Sarasota has incredible waterfront views of the city’s islands and keys that you can appreciate by checking out some of these waterfront restaurants in Sarasota. Find even more great restaurants in Sarasota by registering on 941area, your free guide to everything in the Sarasota and Bradenton area.